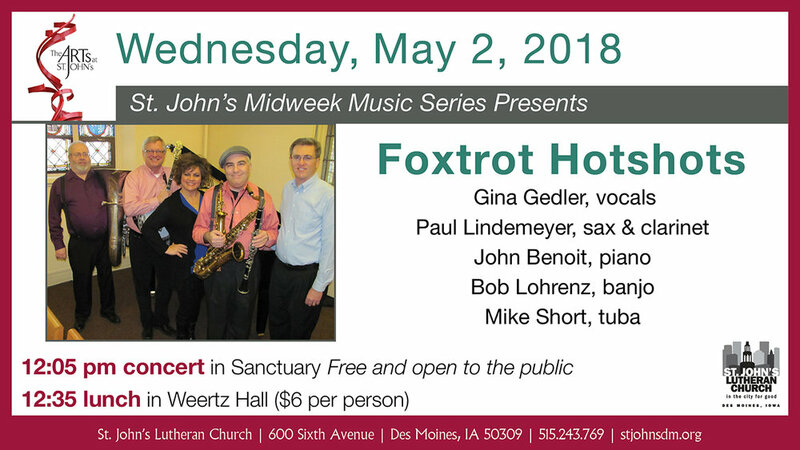 For almost 20 years, St. John’s Lutheran Church in downtown Des Moines has hosted a Midweek Music Series, featuring the best in music that Des Moines has to offer. 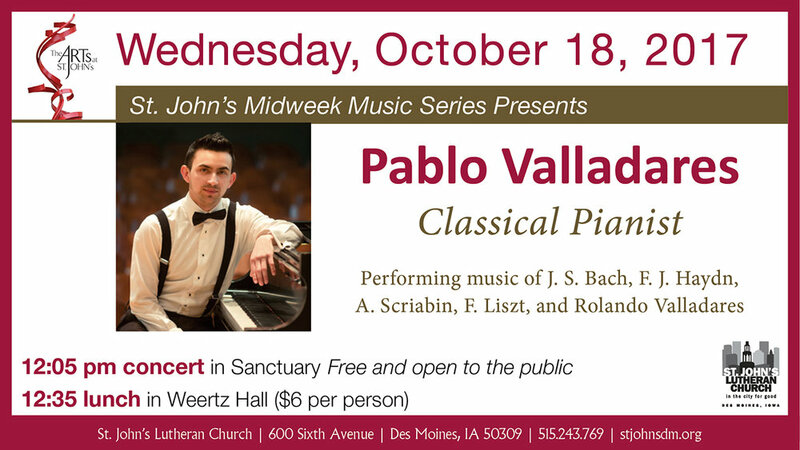 Each week at 12:05, a 30-minute concert, free and open to the public, takes place in the beautiful, stained glass-lit neo-gothic sanctuary located on the corner of Sixth and Watson Powell. 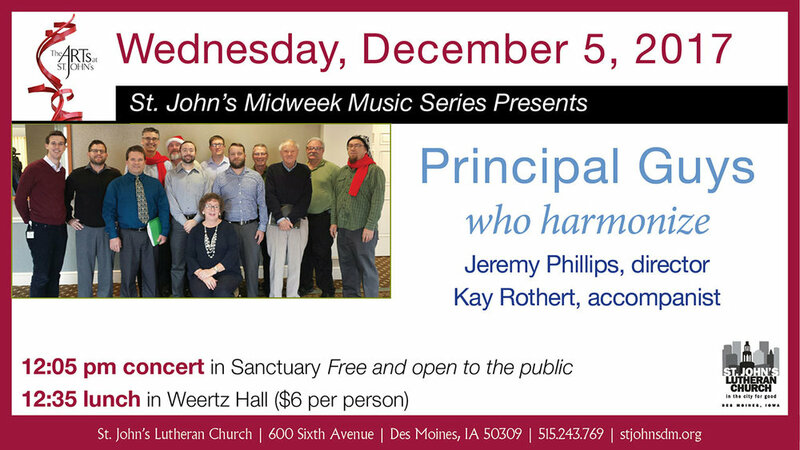 After the concert, audience members are invited to head downstairs to meet with friends old and new, over a light lunch priced at $6.00 per person. Adrienne Stratton & David Ryu perform Wednesday, February 20, at St. John's. Adrienne will perform violin works by Johann Sebastian Bach, Niccolo Paganini, and Jeffrey Mumford. David Ryu will perform a piece he composed, including cello, electronics, and looping. Performance begins at 12:05 pm and is free and open to all. A light lunch, priced at $6 per person, will be served in Weertz Hal at 12:35 p.m.
Rob’s music is Blues/Folk based. You might find him covering a Jazz standard, Robert Johnson, Lyle Lovett, or doing a set of his own tunes. His finger-picking guitar style can be traced back to Hot Tuna, Doc Watson, and Piedmont Blues. His slide playing is influenced by Johnny Winter, Lowell George, and Ry Cooder. His songwriting has been heavily influenced by the Texas songwriters and is laced with self-deprecating humor. Rob is a member of the Iowa Blues Hall of Fame. 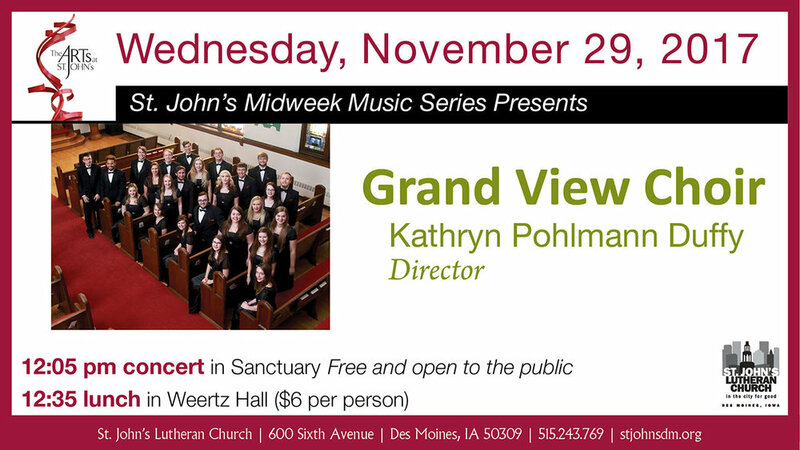 Music begins at 12:05 pm in the Sanctuary and is free and open to all. A light lunch, priced at $6 per person, is available in Weertz Hall following the performance.